Opening hours: everyday from 10am to 10pm. Sponsored by Paintworks. Hosted by The Tube Diner. Decorated by SEPR. The fabulous Ed Veldman on the keys. 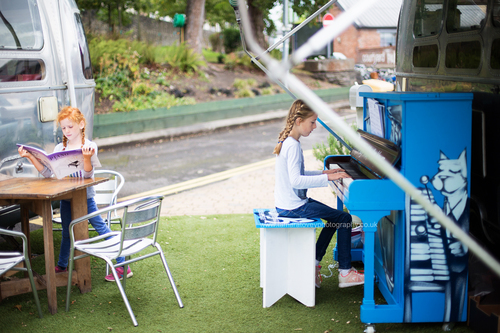 Ed was over from The Netherlands to plays as many of our Bristol Street Pianos as he could in three days/ He said he loved the city as people here are friendly and interested, and it has a real creative vibe! 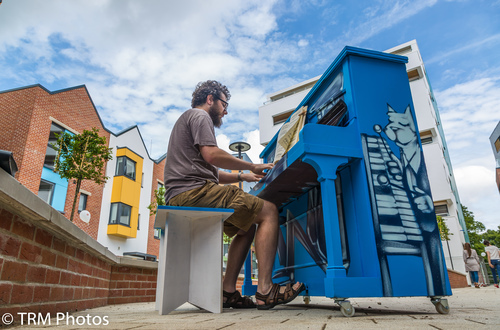 One of our biggest fans, Ed Veldman, from The Netherlands came over to play as many #bristolstreetpianos as he could in August 2017, and I managed to meet up with him at the piano at Paintworks. We loved the cute diner, wish it was open when we got there! Just delivered the piano and Luke's making sure it sounds good! A big thanks Charlie at The Tube Diner at Paintworks for the best breakfast sandwich I've ever tasted! Early delivery to The Tube Diner at Paintworks! SEPR working on his design for the Paintworks piano. Looking good - artwork by one of Bristol's finest street artists - SEPR!